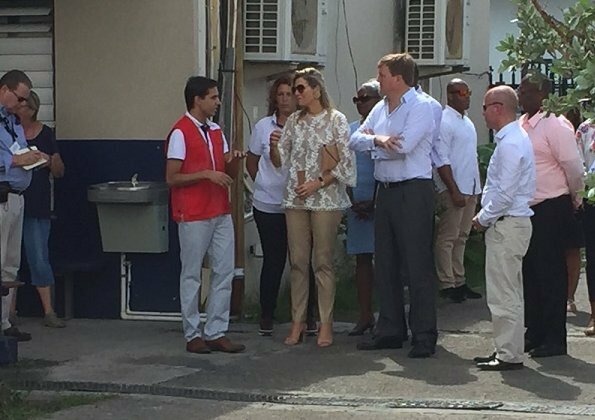 King Willem-Alexander and Queen Maxima arrived at Princess Juliana International Airport in Saint Martin, on the last day of the 3 day visit to Caribean islands St. Eustatius, Saba and Saint Martin. 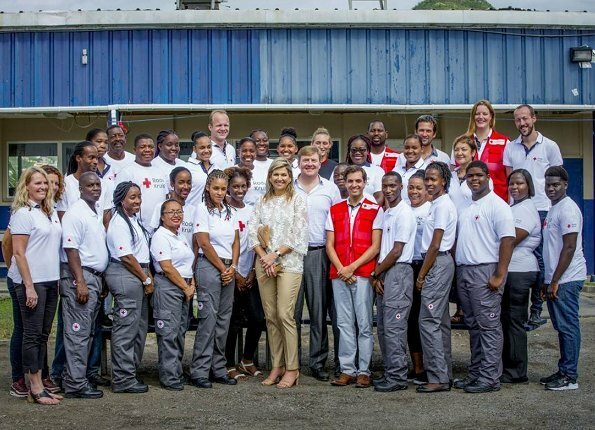 The King and the Queen visited Saint Martin Red Cross office for the purpose of receiving information about humanitarian aid activities performed after Hurricane Irma. 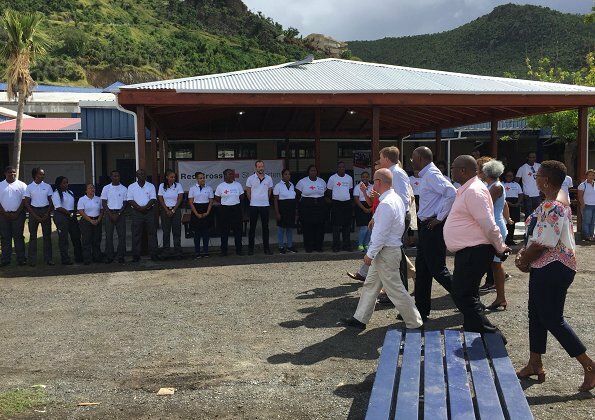 The purpose of that visit is to monitor reconstruction works on the island after the destruction caused by Hurricane Irma. 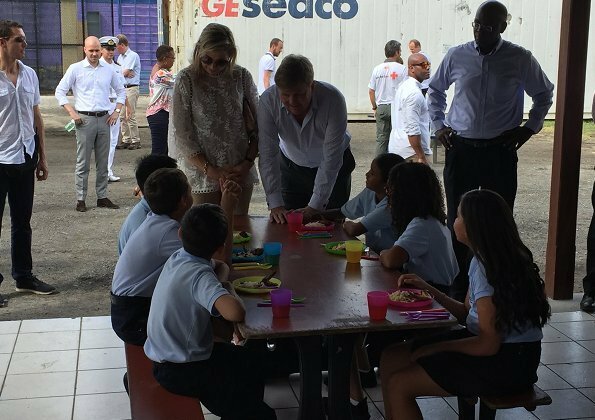 Queen Maxima and King Willem Alexander visit the Saint Maarten Youth Brigade in Philipsburg, as part of their trip to the Caribbean. She looks appropiate but comfortable. 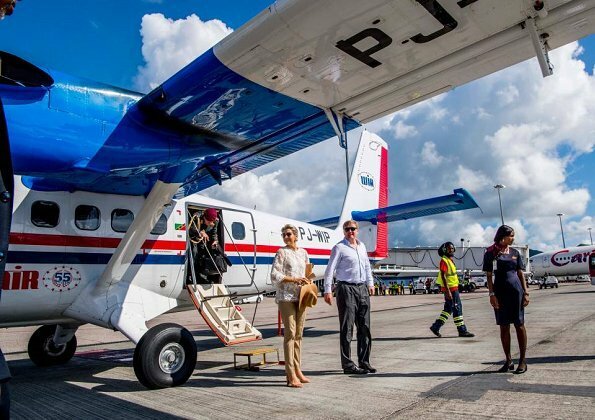 Considering the purpose of this visit I don't want to comment on the fashion, I just say that its good that WA and Maxima express their support. 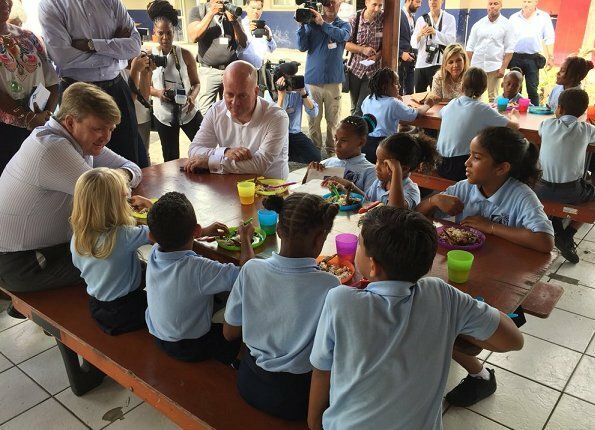 They both look very involved and hope that people will recover from the havoc caused by the hurricane Irma. 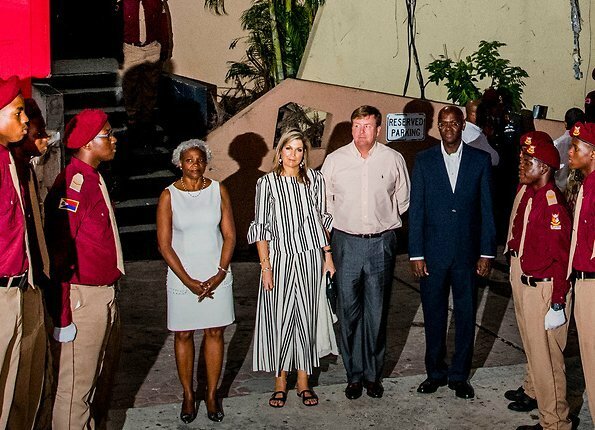 What really annoys me about Maxima is that she never stands with her feet together, it spoils the the whole look everytime. 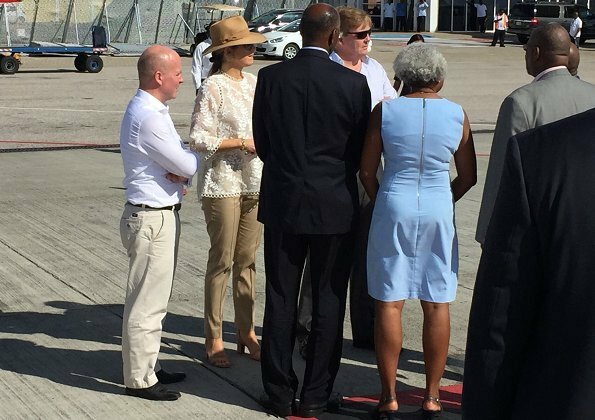 I think she looks fine - she's made an effort but isn't looking too "official". 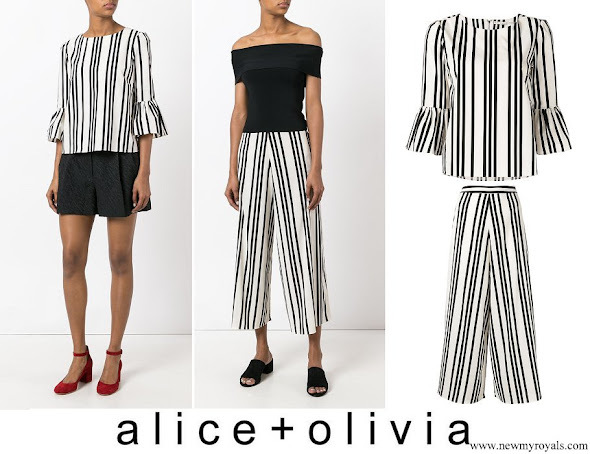 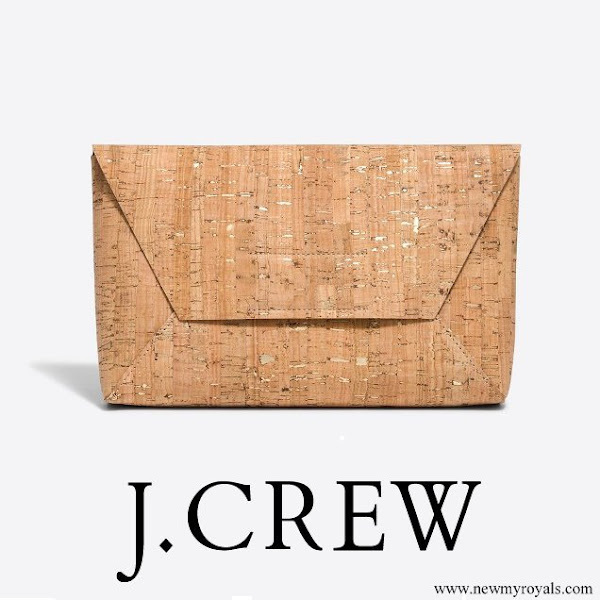 I particularly like the lacy tunic top with the cropped chinos.